One of the key sector priorities of the Ministry of Health is provision of improved access to quality health care services through the primary health care approach. This is in tandem with the main objective of improving the health status of all Zambians, so as to enable them contribute effectively to socio-economic development. In order to attain this goal the Zambia Household Health Expenditure and utilization Survey (ZHHEUS, 2015) postulates that high quality health services have to be available and accessible to and utilized by the majority of citizens in the country. So, as I stated in our last interaction, today we will be discussing one of the key parameters that the ZHHEUS 2015 measured, and that is “Access to Health Care”. To begin with, Equity has been a critical goal of the Zambian health care delivery system from inception. Equity cannot be measured directly so experts use coverage and access as proxies. I would have loved to elaborate on what a proxy is but I will leave that to you dear reader. 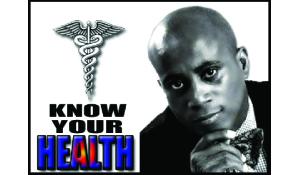 Another related and very important concept to keep in mind is Universal Health Coverage (UHC). UHC has coverage and access as some of its key elements. I would ask you to look up my article on UHC that came out a few weeks back for the definition and importance of UHC. I would add that whenever you hear about access to health care always have UHC in mind and as we discuss Social Health Insurance in subsequent articles, UHC will become even more clearer. Today we are looking at access to health care in Zambia based on the findings of the ZHHEUS 2015. According to the ZHHEUS 2015 report, “Access” was defined as the availability and use of health care services or effective utilisation to meet health care needs. In order to measure access the following parameters were used: distance to health care facility; time taken to reach health care facility; waiting time; and affordability among other factors that can affect access. ZHHEUS 2015 found that on average more than 70 per cent of the households surveyed sought health services within 5 kilometres radius of the health facility. However, it was also noted that rural populations in Zambia cover longer distances, nearly double the distances covered by urban populations, to access health care services. Therefore, 45 per cent of the rural population take 30 minutes to an hour to walk to a health care facility while close to a majority, 49 per cent of the urban population take 30 minutes or less. The cost of health care services was more burdensome on the poor in both urban and rural settings. One might argue that user fees were abolished so why is cost a matter for discussion? You might want to note that Out-of-Pocket expenditure at the point of care is still a burden on most families but let me hasten to say that Health Care Expenditure is a discussion for another day as we continue to discuss the findings of ZHHEUS 2015. The study also showed that the mean waiting time in private health care facilities was 24 minutes while in public facilities was 75 minutes. Generally, waiting times were long in rural facilities but were even longer in government hospitals and health centers. From the findings it can be seen that access to health care, particularly in rural Zambia, has many barriers. As we seek to improve the health status of all Zambians and afford every Zambian a chance to pursue happiness we need to ensure that there is equity in the distribution of health care services in the country. The ZHHEUS recommends that we focus on non-financial barriers such as distance and waiting time in order to improve access. Both the ZHHEUS and other experts agree that for a resource-limited country like ours, investing in prevention would yield better dividends.